Rectangular, normal-tangential and polar are the three most commonly used coordinate systems in 2D kinematics. 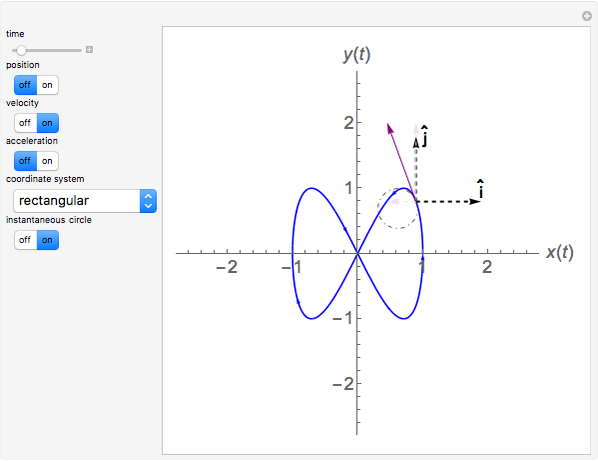 By exploring the options in this Demonstration, the position, velocity and acceleration may be viewed in these three coordinate systems, along with the "instantaneous circle" that approximates the parametric curve. 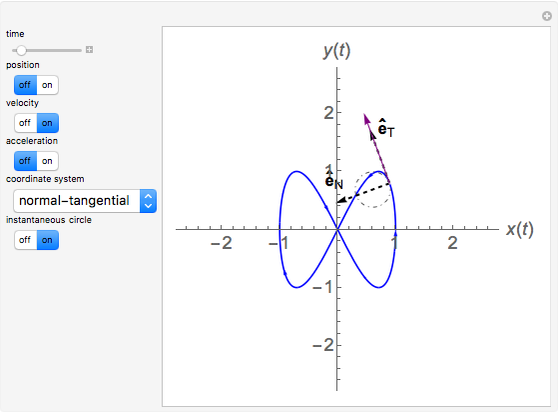 We consider a figure-eight curve, the lemniscate defined by . 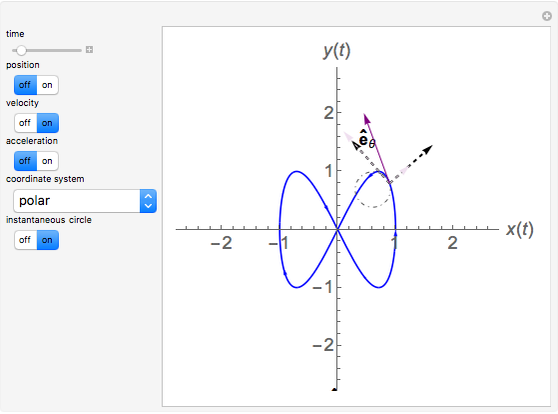 Edmon Perkins "2D Kinematics on a Figure-Eight Curve"